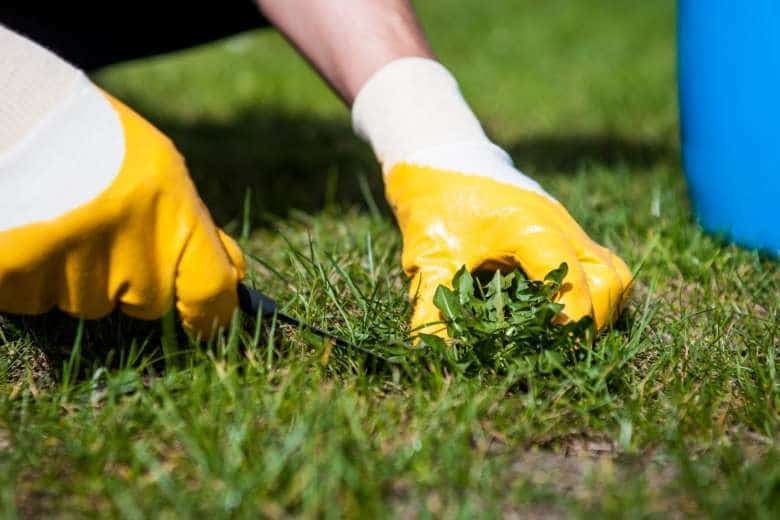 Looking to start your fall lawn care schedule? WTOP Garden Editor Mike McGrath says this Labor Day weekend is an ideal time to aerate a cool-season lawn. This is the perfect time to aerate a cool-season lawn of fescue, rye and/or bluegrass, Scott. Cool-season grasses are entering the time of year when they’re the strongest, so they can handle the stress of having little plugs pulled out to reduce compaction and improve drainage. Just be aware that to improve drainage, you have to remove actual plugs of soil and sod. Poking holes in the lawn will not help. But, no to Scott’s follow up of corn gluten meal because it could inhibit the germination of the fresh grass he wants to sow later on. More importantly, the best time to sow new grass seed is in September, not October. The soil is the optimum temperature for excellent germination of fresh seed in early September — and the area still has good hours of daylight left to provide solar energy to the newly growing grass. Don’t wait until October, when the soil will be cooler and the hours of sunlight shorter. Sow the seed as soon as possible, about a week after the core aeration is finished (to let the lawn settle in a bit after being deplugged). But, yes to corn gluten meal now for those who are not reseeding. This is the perfect time of year to feed a cool-season lawn, and corn gluten provides the perfect amount of natural slow-release nitrogen. It might even inhibit the germination of cool-season weeds such as chickweed, which has seeds that are germinating right now. Nine pounds of corn gluten meal per 1,000 square feet of turf will provide an excellent feeding and still stay inside the limits established by the newly-enacted lawn care laws in Maryland and Virginia. Sowing fresh seed? Corn gluten meal in October! Again, the soil temperature is perfect for speedy germination of freshly sown seed right now, not so much in October. But, October would be a great time to spread corn gluten meal to feed all the new grass you’re growing: 9 pounds of corn gluten meal per 1,000 square feet of turf. Watch for the new green shoots of your freshly-sown seed to emerge, and then spread corn gluten meal (or a bagged organic fertilizer labeled for use on lawns) about two weeks after that — no sooner. After two weeks, all the new grass seed will have germinated, so any pre-emergent effects of corn gluten meal will not be an issue. And, you always want to give new grass a few weeks of growing time before applying any kind of fertilizer. “Baby grass” is somewhat fragile, and you don’t want to shock it with an immediate feeding. Give the lawn about a week to settle in after the aeration. Then, have a big load of compost delivered and spread it over the entire lawn. As soon as possible after that, sow fresh seed into this rich bed of compost. Two weeks after the seed has germinated, spread 9 pounds of corn gluten meal per 1,000 square feet of turf to provide the perfect feeding for your grasses, new and old.